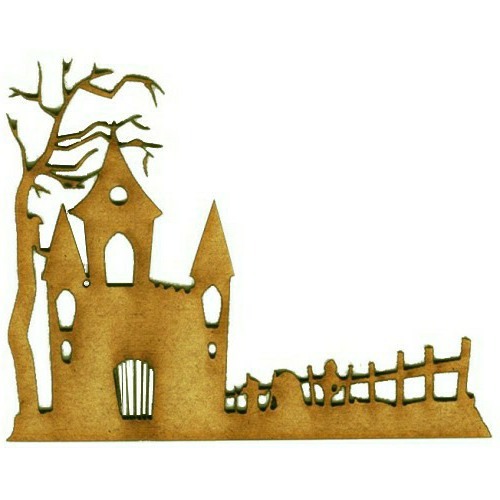 Cemetary Lodge wood scene features a gothic style gatehouse (with portcullis!) 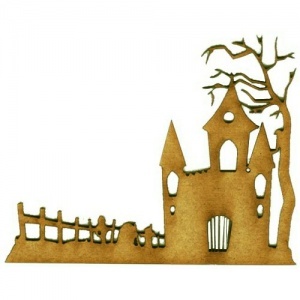 set within a fenced graveyard - instant atmosphere for your Halloween and horror projects. 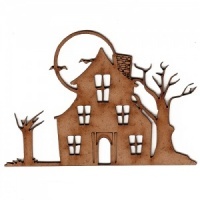 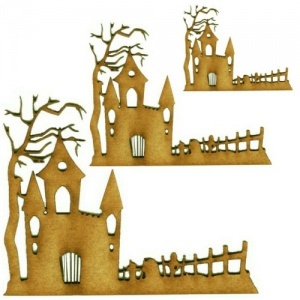 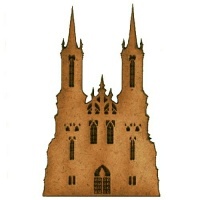 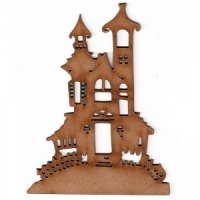 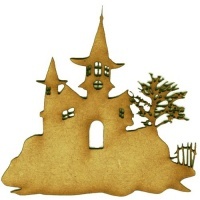 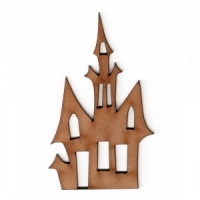 This scenic wood shape is laser cut from 2mm MDF and is available in 4 sizes - select your choice from the options above. 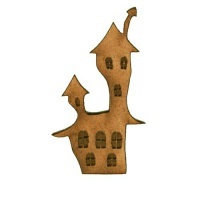 You also have the choice of left hand or right hand designs to compliment your projects perfectly.